The dog collar and lead manufacturers continues to give the charity annual donations and provide its assistance dogs with accessories. Dog collar and lead company Oscar & Hooch has marked its five-year partnership with the Medical Detection Dogs charity. Back in 2013 both Oscar & Hooch and Medical Detection Dogs (MDD) begun its partnership, which saw the new UK pet brand and charity expand quickly and it now has over 600 volunteers today. Oscar & Hooch founder Paul Steckler always intended to give something back and with his background in pharmaceuticals, teamed up with Medical Detection Dogs. 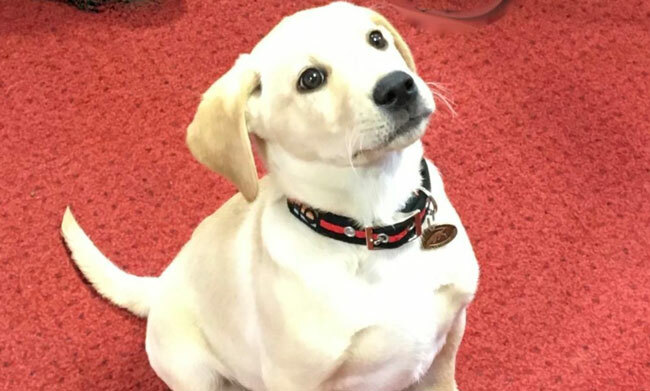 Medical Detection Dogs aim to deliver hope through advancement in disease detection as well as provide support to people who have life threatening conditions, their assistance dogs are family members and a very important lifeline. Oscar & Hooch agreed to make a design that accentuated the MDD colours, which brought about the manufacturer’s black and red range. Once assistance dogs complete their training with the charity they are provided with a collar and lead set in those colours. As well as providing accessories to MDD, Oscar & Hooch make an annual donation to the cause.